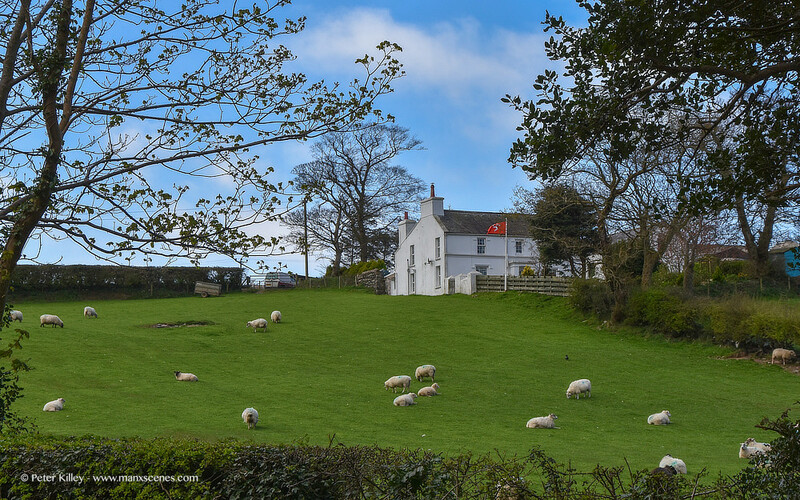 Love this fine farm house on the hill and they are always proudly flying their Manx flag as well. Aaawwwwww! Those sheeeeeeps! I love them!!! !